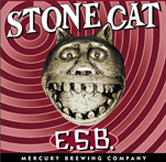 This ESB pours a cloudy white color, but settles to a medium amber color, crested with a large, frothy light-brown head. Good lacing is left behind the mostly-lasting head. Hazy body. Aroma is of light flowery hops, and a moderate yeast scent. Initial taste is moderately bitter, smoothing out to a light bitter finish with average duration on the palate. Light to medium on the mouth, it has a creamy texture with soft carbonation and a metallic feel.